Lease Illinois farm land to a tenant on a sharecropping basis with this Illinois Crop Share Farm Lease. The tenant agrees to pay the landlord a share of the crops grown on the leased lands as rent. In addition to the crop shares, the tenant agrees to pay a certain amount per acre for land used for pasture, hay and silage. Rent will be paid in a series of installment payments. 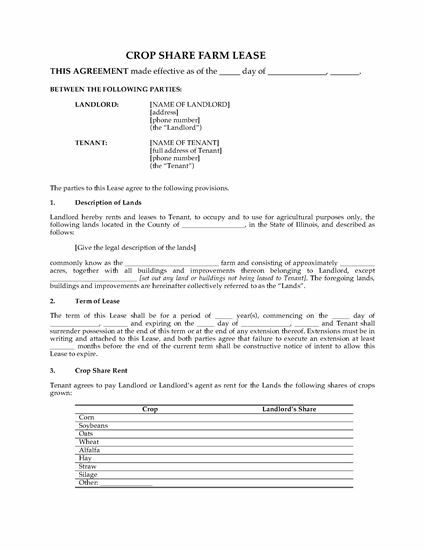 The tenant agrees to store the landlord's share of the crops, provided that it does not exceed a certain percentage of the storage available to the tenant. Each party will provide certain items of equipment, materials, and labor, and will pay a share of the expenses to run the farming operations. The tenant agrees to use the land for agricultural purposes only, and to farm the land in accordance with proper farming practices. The tenant is responsible for obtaining crop, liability, property damage and workers' compensation insurance. The parties will share in the decision making and management of the farming operations to the extent set out in the lease. The landlord has a lien on the crops as security for the rent payable under the lease. 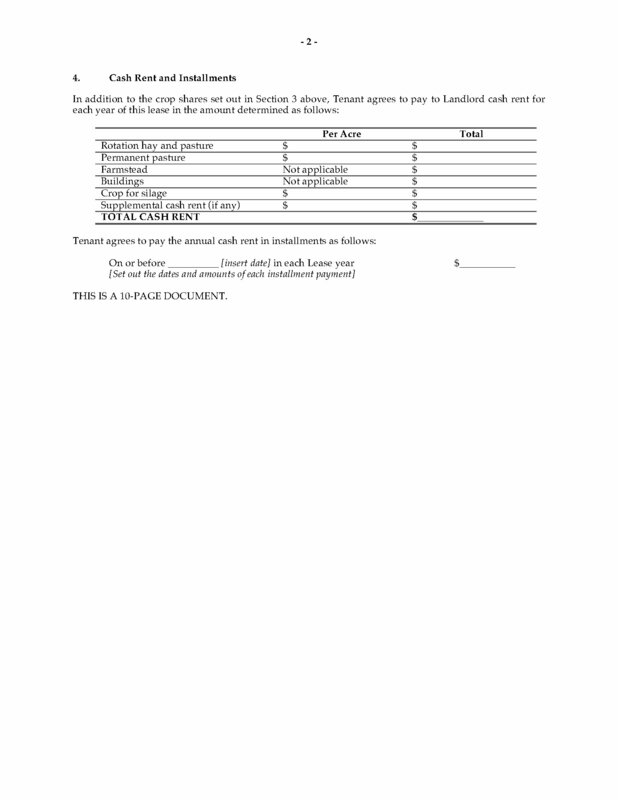 This Illinois Crop Share Farm Lease template is provided in MS Word format, and is fully editable to fit your needs.